Soroptimist’s Professional Clothing Closet is now the Dress for Success Triangle NC—Raleigh Branch. Soroptimists volunteer in all aspects of the updated operation and services. You can read more about the Closet’s History below. Since late 2003, Soroptimist International of Raleigh’s Professional Clothing Closet (the “Closet”) has been serving Wake County women in need of employment. The “Closet” opened in partnership with five Wake service agencies: Computer Training Partnership, the YWCA, Wake County Human Services, JobLink, and the Women’s Center. Its goal was to provide a centralized clothing resource to those who wanted to work but for whom a lack of interview and work-appropriate clothing was an obstacle. Soroptimist created a “referring partner” structure in which partner agencies commit to send clients to the “Closet” for clothing and to support the closet with a limited commitment of volunteer hours. In return, Soroptimist provided a safe and comfortable facility, collected and processed donations, provided volunteer coordination and scheduled “personal shopping” appointments for the clients. During the appointments, volunteers provided clothing and image consulting to build client confidence and help foster a positive first impression when the clients secured interviews and /or employment. Over the next four years, the number of referring partners grew to thirty and more than 1200 satisfied clients were served. 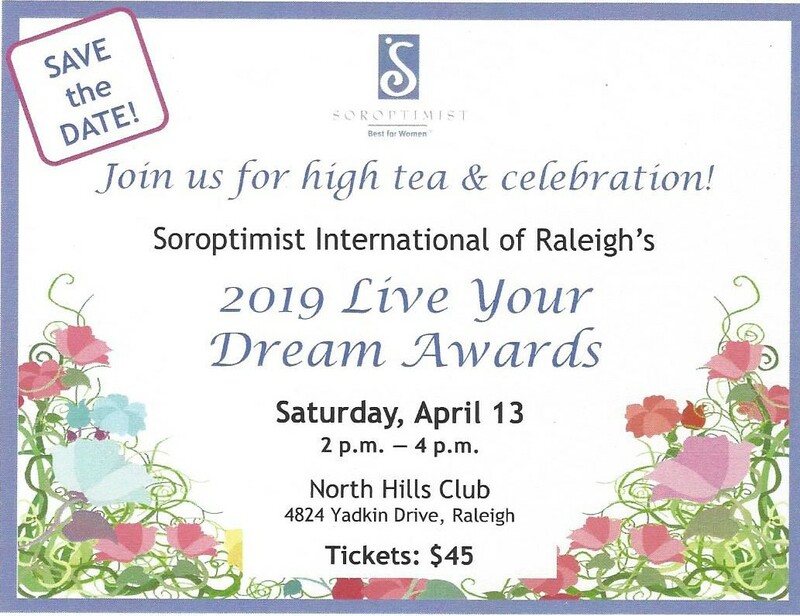 The merger of the Soroptimist Professional Clothing Closet with the newly founded Dress for Success Triangle NC in 2009 was the realization of Soroptimist Raleigh’s goal of creating a self-sustaining entity to support this need in the Triangle for the long term.